Happy Friday, ladies and gents. An important housekeeping item: the PSLawnet Blog is becoming the PSJD Blog. We are relaunching our PSLawNet public interest jobs database as PSJD, effective 8/27. The blog will move from https://pslawnet.wordpress.com to http://blog.psjd.org (link not active yet). Those of you who receive from me a weekly email message about this bulletin will continue doing so. Launching PSJD, which will offer an even better jobs database and career center for the public interest community, represents an exciting transition. We look forward to all that’s new, but just as much look forward to our continued daily blogging. Some nonprofit news before the public interest news. This Nonprofit Quarterly post came to my attention this week. Entitled “A Too-sad Truth about the Nonprofit Sector,” the post laments the culture of martyrdom which many nonprofits take on. This can manifest itself in unreasonably low salaries and a shortage of office resources to work efficiently. Many of the best nonprofit law offices, in my experience, tend to emphasize “law office” over “nonprofit” in terms of how they operate and present themselves to the world. Of course the recession has made funding scarce, and many organizations are struggling just to keep afloat now. Nevertheless, some executive directors argue that they will only go so far in keeping staff salaries down and skimping on infrastructure expenses because they will not sacrifice quality of service. It’s a very difficult balance to strike for nonprofits. And this debate is always worth having because it brings out some terrific ideas and solutions from organizations with starkly different cultures. On a lighter note, the annual “Mindset List” for this year’s incoming college class is out. The list looks at how an 18 year-old would view the world in light of what has, and hasn’t, happened during her lifetime. The list, while a little weak this year compared to its predecessors, succeeds at making me feel old if nothing else. Funny to think that an incoming college freshman might see Bill Clinton only as a grandfatherly, elder statesman as opposed to, well, any of the many the other things Bill Clinton’s been. would narrowing the definition of “pro bono” lead to lawyers handling more poverty law cases? Deferred Action participants should be wary of those offering legal services. 8.21.12 – having grown up in northeast Philadelphia, I can say with certainty that there’s nothing unusual about a guy named Colin working behind a local bar. What is unusual is when he’s an assistant district attorney. The Philadelphia Inquirer looks at the ends local prosecutors go to when they struggle financially on civil-servant salaries. 8.21.12 – I’m a sucker for a story about a pooch in a law office. “A new four legged volunteer is working at the Santa Barbara County District Attorney’s office. It’s part of an innovative pilot program, to provide emotional support to crime victims and witnesses. 8.20.12 – a short post on the Think Progress blog highlights the financial straits of LSC grantee organizations. Friend of the PSLawNet Blog Richard Zorza offers thoughts on the site’s look and functionality in this short blog post. 8.17.12 – for the aspiring public defenders, here’s a UVA law student’s 10 tips on PD hiring, which she learned while attending the Public Defender Advocacy, Training, and Hiring (PATH) conference run by the Public Defender Service here in DC. I moderated a PATHY program on PD hiring, and I agree with the blog author that applicants must convey their passion for indigent defense work in their application materials and interviewing. Public defenders want to know that their employees have a deeply-rooted commitment to defending the constitutional rights of all of their clients, who are not all angels, and who are not all innocent. Also, applicants must be prepared for hypotheticals during interviews. Music! That Beloit Mindset List has me thinking about the college years. So let’s travel to the 1990s for Boulder, CO’s own Big Head Todd and the Monsters. (The man does in fact have a physically big head. Not sure about his ego.) “In the Morning” is one of my favorite songs -and it’s a pretty love song, tempo notwithstanding – from the under-appreciated album Stratagem. 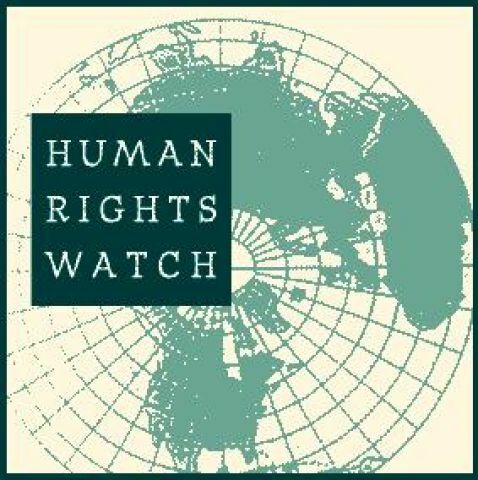 The Legal & Policy Office of Human Rights Watch (“HRW”) is seeking a volunteer to join the team on the case against Hissène Habré. HRW has been working for 13 years with the victims of Chad’s exiled former President, to bring him to trial. Habré, who lives in exile in Senegal, is accused of responsibility for thousands of political killings and systematic torture when he ruled Chad from 1982 to 1990. At the request of the African Union (AU), Senegal agreed to prosecute Habré in July 2006. Senegal stalled on efforts to try Habré for years, but the new government under President Macky Sall appears to be moving quickly to bring Habré to trial. On July 24, Senegal and the AU announced a landmark agreement to create “Extraordinary African Chambers” with African judges in the Senegalese justice system to begin pre-trial investigations in October. Just days earlier, on July 20, the International Court of Justice ruled that Senegal had violated its legal obligations under the Torture Convention and ordered Senegal to bring Habré to justice “without further delay,” either by prosecuting him in Senegal or extraditing him. Please visit http://www.hrw.org/en/habre-case (English) or http://www.hrw.org/fr/habre-case (French) for more information. The volunteer project includes conducting legal research on international and Senegalese criminal law issues, liaising with the victims’ legal team and HRW’s partners in Senegal and Chad, and supporting advocacy efforts with the Senegalese government and international donors. The volunteer will be supervised by HRW’s Counsel. This position will be located in Dakar, Senegal. Ideally, it will last for 6 months starting in September or October of 2012. Human Rights Watch is unable to offer relocation assistance, but don’t let that stop you from applying – PSLawNet.org has a whole page of resources for students interested in international law, including how to obtain funding for unpaid opportunities. For more information, check out the full listing at PSLawNet.org (log-in required). Job o’ the Day: Staff Attorney with the ACLU Center for Justice! The ACLU’s Center for Justice is looking for a staff attorney to work in either Washington D.C. or New York City on juvenile justice reform. The ACLU’s Center for Justice seeks to transform the U.S. criminal justice system into one that views incarceration as an option of last – not first – resort. The Center works to ensure that our criminal justice system is effective, fair, and free of racial bias; that conditions of confinement are humane and constitutional; and that the death penalty is rejected as a legitimate form of punishment. The Center comprises the Criminal Law Reform Project, the National Prison Project and the Capital Punishment Project, as well as affiliated staff from our Washington Legislative Office and Advocacy and Communications Departments. The Center for Justice seeks a Staff Counsel to work closely with other parts of the Center and organization to shape and advance its juvenile justice reform work as part of our Initiative to End Overincarceration. Priority areas of work will include reform of local and state policies that will lead to a reduction of youth incarceration rates in the juvenile justice system; minimizing and making more constructive the contact youth have with the adult criminal justice system; and eliminating the disproportionate contact youth of color have with the juvenile justice system. The Staff Counsel will be part of an integrated team that includes litigators, policy counsel and strategists, federal lobbyists, and communications specialists, and will work closely with ACLU affiliates across the country. Responsibilities include, but are not limited to, creating strategic work plans and serving as a public spokesperson for the advancement of juvenile justice reform. Sounds perfect for you? Check out the full job post at PSLawNet.org (log-in required). Recently, the University of Virginia School of Law blogged a few invaluable tips from this year’s Public Defender Advocacy, Hiring and Training Conference (PATH), sponsored by the Public Defender Service of D.C. In a nutshell, passion pays off – you have to be able to show and explain just how ready you are to enter the field of indigent defense. 1. Know your personal motivation for being a public defender, because this will sustain your career. 2. Be realistic, but passionate, about why you want to be a public defender. 3. Convey that you are a “true believer” in your cover letter. 4. 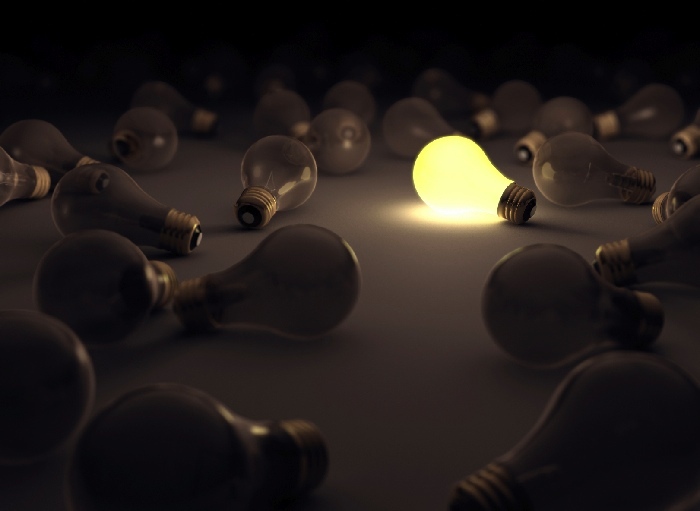 Since candidates start looking the same on paper, your passion and motivation should stand out. 5. If you’ve worked in prosecution or domestic violence, don’t be scared to address it. 6. Speak Spanish! If you don’t speak Spanish, learn Spanish! This increases your chances of employment. 7. Bring out the fact that you are client-centered in your interview. 8. Look at hypothetical questions from multiple angles. 9. When asked a hypothetical question, remember that public defender offices are paying attention to your instincts. 10. When role-playing, listen to your “client” and be mindful of your body language. Job o’ the Day: Legal Intern with Vera Institute of Justice in New York City! Are you a law student that is committed to advancing prisoners’ rights? Do you stay up to date on the latest news and developments in criminal justice reform and policy? If so, then this position may be perfect for you. The Vera Institute of Justice is searching for legal interns within its Center on Sentencing and Corrections (CSC), which works with state and local partners to help them develop cost-effective strategies for protecting public safety. The CSC also provides government officials and criminal justice professionals with technical assistance and research support. This is an extraordinary opportunity for a motivated student to join a dynamic and innovative staff. The intern will work closely with program and research staff on a variety of projects, which may include justice reinvestment projects in several states, a national project aimed at increasing the availability of post-secondary education to correctional populations, a project focusing on bringing American and European policymakers together to discuss successful correctional policies, and reports on sentencing policies. If you’re interested in apply, view the full listing at PSLawNet.org! For more information on these listings and more, check out The University of Arizona College of Law’s 2012-2013 Government Honors & Internship Handbook. Please note that the Handbook is available to subscribers only. Don’t worry, though – most law schools are already subscribed. Just talk to your Career Services counselor for your school’s username and password. Big News: PSLawNet’s Becoming PSJD! We’re Getting a New Name, New Website & Everything! We’ve got great news for law students and lawyers on public interest career paths, as well as the organizations that hire them. On August 27th, PSLawNet will become PSJD, a redesigned website that retains all of PSLawNet’s content but that adds easier navigation, enhanced searching, and new tools for job-seekers and employers alike. PSLawNet users will be able to log in to PSJD with existing PSLawNet login credentials, and our job-seeker “email alerts” will continue uninterrupted. We at NALP (who administer the PSLawNet/PSJD site) are very happy to launch this next-generation career center as a free resource for the public interest legal community. As of August 27 PSJD will be found at http://www.psjd.org (not live yet). For blog readers, this means that we’ll be moving to blog.psjd.org (not live yet). But this blog URL will redirect you as well. For more information contact me at sgrumm@nalp.org, or PSLawNet PSJD Fellow Ashley Matthews at amatthews@nalp.org. You may also reach us at 202.296.0076.